NEW! 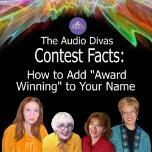 THE AUDIO DIVAS ARE EVOLVING! Tri-Studio all at a new, low price! Find out how violence can be used to create intrigue, define character, build suspense, and even release tension. Authors Joyce Faulkner, Kathe Gogolewski, Carolyn Howard-Johnson and Allyn Evans talk about how to choose between graphic or implied violence and the best point of view for the desired results. Authors also discuss how to use violence appropriately. Exercises for the listener are included. 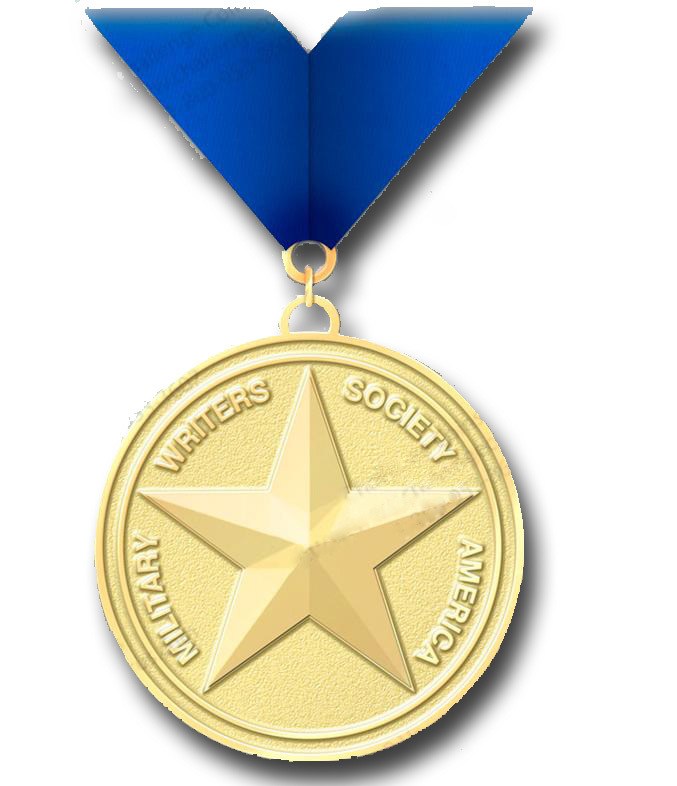 For writers contests can be more than a pat on the back. Use them to promote, to further a career, to brand your name. Allyn Evans, Joyce Faulkner, Kathe Gogolewski, and Carolyn Howard-Johnson share contest secrets from submitting to avoiding the scams and using them to promote your title. Scroll down for a review. Allyn Evans, our Audio Divas moderator, is the author of Live A Powerful Life: How to Move Beyond Pleaser and Good Little Girl to Conscious Queen and How to Help Your Daughter Live a Powerful Life (2010). Allyn is a professional speaker, a newspaper columnist, a paid consultant and presenter. Allyn holds the Advanced Toastmaster designation and is a district Tall Tale competition winner. She is a member of the Toastmaster District 16 and Respect Diversity Speakers’ Bureaus. For more about Allyn’s latest endeavor: Catch Your Dream and Live It!, visit www.allynevans.com. When I turned from journalism and other nonfiction writing to my first novel, I thought I would have no trouble with that art form. After all, I had been an English Lit major and read more novels than anyone should ever be required to read. I was wrong. I needed to go back and relearn as if it were a complete separate art form. Since then I've noticed many others who would have benefited from some relearning. Thus the Audio Divas include one-hour segments on the craft of writing. I also suggest classes taught through college extension divisions -- particularly those with writing departments. The reason? There is way too much misinformation circulating on the elements of fiction! Any Good Reviewer Will Tell You So! Once published, twice shy . . . or where, oh where, to begin promoting! After the euphoria of being published, reality quickly sets in for most authors. Now the book has to be promoted! The task seems daunting, and often, can be debilitating to bank accounts. But book promotion doesn’t have to be a drain, emotionally or financially for authors. There are trailblazers who’ve learned from their own hard-won experiences, willing to share shortcuts and how to make sound decisions when it comes to book promotion. 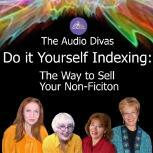 Three of these savvy, trailblazer authors have created an audio book series titled A Do-It-Yourself Guide to Promotion Easy and Cheap. The entrepreneurial authors are Allyn Evans, founder of Queen Power; Marilyn Peake, children’s fantasy author and editor of The Golden Goblet newsletter; and Carolyn Howard-Johnson, award-winning author of the Frugal Book Promoter: How to Do What Your Publisher Won’t Do. This audio book is the culmination of a teleclass hosted by Allyn Evans and conducted with the other two authors. The material covers two primary areas: “How to Use Radio Publicity,” and “How to Arrange Radio Interviews Cheaply.” The authors bring a common sense approach to their advice and tips, garnered from participating collectively in some 400-radio interviews. The book’s format is one of give and take among the three, as they share actual sources, resources and the names of receptive radio hosts and sites. There is even a question and answer segment included in the book. Both authors believe radio shows and interviews are a great way to gain exposure and publicity. Carolyn Howard-Johnson shares many ideas on how to find and build a list of potential radio stations to contact. She explains how to do a search on the Internet for program and interview sources. Her valuable tips are truly shortcuts that if followed, will save authors’ time and frustration. Howard-Johnson brings a wealth of tips on ways to build branding and gain exposure. The author also lists some of these from time to time in her newsletter Sharing With Writers. Originally published by Double Dragon. I first heard about Tri-Studio audio classes when the first class, A Do-It-Yourself Guide To Promoting Easy And Cheap! became available as a free download. I also knew that one of the instructors was Carolyn Howard-Johnson, author of The Frugal Book Promoter: How To Do What Your Publisher Won't, an excellent book for writers, and this really made me interested. Carolyn Howard-Johnson is an instructor at UCLA's Writers' Program and has many years of experience both as a publicist and also as an author promoting her own books, which became award-winning best-sellers. Together with four other authors (Allyn Evans, Joyce Faulkner, Kathe Gogolewski, ...), she has coproduced a series of audio classes with three author women. They call themselves the Audio Divas.. Those who wish to know more about the publishing industry can greatly benefit also from the advice and anecdotes of the other four authors, as they also have a lot to share. Promote or Perish! The Greatest Myth of Publishing is the second in the series of audio classes for writers. 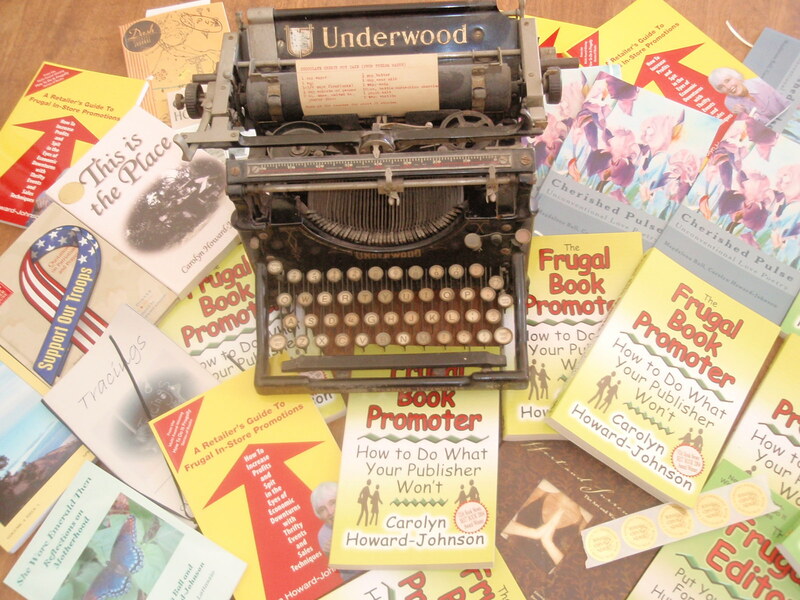 In this programme, Carolyn Howard-Johnson uses an excerpt form her book, The Frugal Book Promoter, to introduce the listener to several myths of the publishing world and the reality behind them. She talks about issues related to advertising, traditional and POD publishing, book tours, ebooks, getting reviews and the importance of branding... Kathe Gogolewski, author of the children’s novel, TATO talks about the ways of getting the much-craved publicity. However, not all the audio classes are on self-promotion and book promotion. The classes are equally divided into three categories: writing, technology related to writing, and book promotion. The URL's mentioned in the programme are also included in the related handouts. These authors give personal accounts of their efforts to promote their work, which makes the programm a really interesting and useful one for all authors who would like to do the same. Available at Tri-Studio. The Divas' series of audios are at Tri-Studio. "Those who wish to know more about the publishing industry can greatly benefit also from the advice and anecdotes of the . 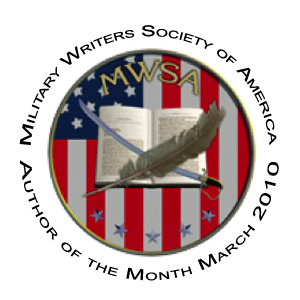 . . four authors, as they also have a lot to share." "...the authors share excellent anecdotal information concerning branding yourself as an author rather than just by book title, Web site activity results after author marketing events, and other pertinent book promotion tips. The beneficial information is in an easy-to-understand format with voice clarity and professionalism. Do you abide by the rule of three? That's Website lingo for keeping people on your Web site as long as thirty minutes. I try to do that with tips and plenty of content to interest my varied audiences. And, yes, it's possible for fiction writers and poets, too. What are your themes? Who is your audience. Put something up that will interest them. Articles. Even your ads should fit those demographics. for autographed copies and occasional special offers. Order two or more books and get Great Little Last-Minute Editing Tips for Writers free! 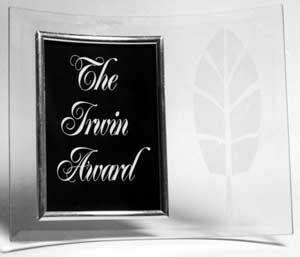 Best Book Award for The Frugal Book Promoter (2004) and The Frugal Editor (2008). Audios are a great way to learn when you're on the fly. They're a good way to cross-promote, too. Anyone interested in getting started as a publisher will find audios an inexpensive way to start as well. Find several on writing. using Amazon's app, other readers, too.